When fires, floods and other major disruptions alter natural areas, our first instinct is to restore what’s lost. But moving forward may mean leaving some treasured things behind. January 16, 2018 — The news broadcasts of bright orange flames spilling over forested ridgetops at night were as ghastly as they were inescapable. On September 2, 2017, a wildfire ignited in the Columbia River Gorge about 40 miles east of Portland, Oregon. Quickly, flames spread across the canyon’s south side and ascended the surrounding cliffs, where dry east winds blew them into an inferno. Within three days the Eagle Creek Fire had enveloped more than 20,000 acres and jumped the river to the north rim. Only a day before, the gorge had seemed a wonder etched in permanence — an ancient temperate rainforest draped across a 15,000-year-old basalt canyon. For millions living nearby, and many tourists from afar, it was a sacred reprieve of unsurpassed natural beauty. Visitors sought solace amid hidden stands of enormous old growth conifers. They gaped in awe as strands of water ended 600-foot free-falls at the feet of sheer cliffs, and hiked to sweeping views of the wide Columbia River. Its most ardent admirers held fast to these images of the place even as the fire gobbled it up. While the fire’s spread was at its peak, one of those admirers created a Facebook group he originally named “Replant the Columbia River Gorge.” Thousands joined immediately, many shovel-ready to seed a new forest. “Me and some buddies are down to replant some trees as soon as the fire is down,” wrote one member from nearby Beaverton, Oregon. “If you appeal to local media I think you’ll have no shortage of volunteers willing to plant trees and even clear dead timber,” offered another. With smoke still choking its skies, the community plunged into a debate over how it should respond to this profound loss: try to reconstruct the past, or accept a new reality? Inhabitants of a dynamic world have grappled with this question for eons, but today and in a future where climate change is quickly destabilizing our environments, the changes are becoming more frequent and more consequential. More than ever, policy-makers and land managers are needing to make tough choices about humankind’s role in managing the natural world. Change, of course, is natural. Taking the long view, the rock through which the gorge was carved is infantile. The forest that burned atop that rock is younger still, and the lot of it is just a snapshot in time. Those calling for the preservation of the forest in its pre-fire form seek to halt the natural forces that, over some short millennia, created the forest they came to love. Even in the wetter west end of the gorge where blazes are less common, fires are essential, says Columbia River Gorge National Scenic Area fire management officer Darren Kennedy, and this fire was within the lines of the region’s fire regime. The last major incident, the Yacolt Burn, charred more than 200,000 acres in 1902; today its scars are part of the view. 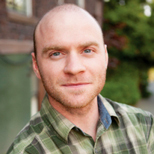 Fires, even severe ones, are necessary to the development of the biologically diverse landscapes we cherish.If we want forests to be resilient to today’s climate we may have to let them burn, says Chad Hanson, a forest ecologist and director of the John Muir Project, which studies and advocates for forest biodiversity. Hanson and a growing body of research assert that fire suppression has resulted in a fire deficit in the high-elevation West, despite the intensity of recent years’ wildfires. For Hanson, it’s concerning. Fires, even severe ones, are necessary to the development of the biologically diverse landscapes we cherish. On the heels of the gorge fire, Representative Greg Walden introduced a bill that would expedite salvage logging and tree replanting. It collided with steadfast resistance from environmental groups and the scientific community. “If we plant and log these areas, we are disrupting evolution itself,” Hanson says. The saplings that sprung up after the Yacolt Burn, for instance, were those best suited to the conditions. The forest, he says, will regrow — though not in our lifetimes and likely in a different form. In a corner of the U.S. about as far as you can get from the Columbia River Gorge, a community is struggling to hold onto land that is sinking beneath it. As sea level rises, saltwater spills into Everglades National Park, poisoning more than 2,300 square miles of tropical wilderness on the southernmost tip of Florida that harbors critical wading bird habitat, close to 70 threatened or endangered species, and one of the world’s largest mangrove forests. 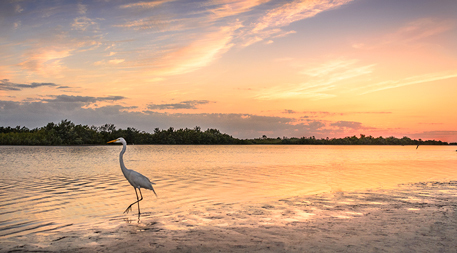 In 2000, Congress authorized the Comprehensive Everglades Restoration Plan (CERP) to protect the fragile ecosystem and ensure a freshwater supply after decades of human development and water diversion had choked the natural marshlands of fresh water. 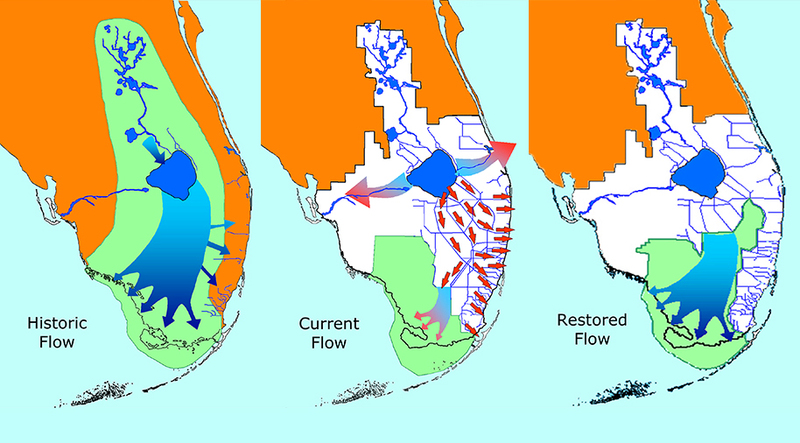 In recent years, however, increased emphasis has been placed on responding to the impacts of climate change and sea level rise, which has caused the freshwater Everglades to shrink in front of advancing saltwater habitat. To address this, the CERP is removing manmade barricades and redirecting water with pumping stations to allow for the natural flow of freshwater, while establishing retaining ponds for storage and flood mitigation. “If successful,” the National Park Service states on its website, “these efforts will help protect subterranean aquifers from salt water intrusion, delay the impacts of sea level rise along the coast, and buy precious time for wildlife to adapt to the changing environment.” Adaptation, like forest building, takes time, and until significant gains are made to reverse global warming, these mitigation efforts are negotiating with a creeping eventuality. Similarly, along the rivers that sustain descendants of some of North America’s longest inhabitants, warming temperatures are changing landscapes and threatening long-held ways of life. Existence in the lowlands of the mountainous West has long depended on the seasonal availability of cold-water fish like salmon and trout, but increasing air temperature and diminishing snowpack have resulted in warmer stream water in some areas. Coupled with the impacts of dams, development and ranching, this warming trend is pushing an economic and cultural mainstay of the region’s indigenous people to the brink. In the face of climate models that show a dismal future for some cold-water habitats, Native American tribes are returning landscapes to their pre-developed state and attempting to insulate critical waterways from the effects of climate change. “Tribes are wanting to restore fish and habitat where other agencies might look at it and decide that that’s not the best use of dollars,” says Joe Maroney, director of Fishery and Water Resources for the Kalispel Tribe of Indians, whose lands stretch from Washington to Montana. “These are the only resources that we have that are adjacent to the reservation, so we’re going to do everything we can to protect them,” he says. The Kalispel and others in the region have invested heavily in studying cold water in streams and the species it supports. They’ve returned unnaturally straightened rivers to their natural meanderings. They’ve repopulated native fish where invasive species have elbowed to dominance. They’re building pathways for fish to overcome impassible dams. Similar to the Everglades, the threats are ever encroaching, and limited resources leave some vulnerable tributaries untended. As temperatures continue to rise and snowfall dwindles, species like the threatened bull trout, sacred to many, face relegation to memory. Johanna Varner is a biologist with Colorado Mesa University who has spent more than five years studying pikas in the Columbia River Gorge. For her, the fire’s impact was twofold. “As a scientist, you go to a place and make objective observations, but as a human, you can’t spend all that time making close observations in a place and not create a personal connection to it as well,” she says. 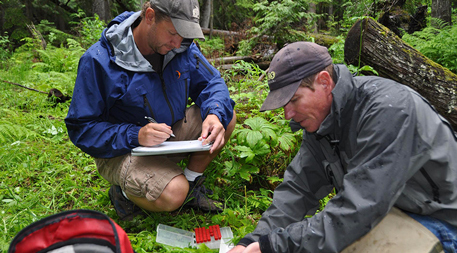 In 2011, Varner’s research went up in flames when a fire erupted in Oregon on the flanks of Mt. Hood. “When I first discovered that fire, I didn’t know what to do and I just sat down and cried,” she says. But over the coming years, she studied how pikas respond to wildfires, and, in the process, witnessed the regrowth of a burned forest. Varner does not intend to encourage complacency about disasters that arise as a result of human activity. However, she points out that our new reality is likely to be a time of great loss, and how we choose to respond to those losses will make a big difference. In the Columbia River Gorge or elsewhere, whether we re-create what goes missing, build something new or leave it alone entirely, our decisions will seed the future. Very good read. More please.